Float Sixty River North is our original location. We offer five float suites including three cabins, one pod and one tank. Located at 303 W Erie Street at the corner of Erie and Franklin. Our original location, Float Sixty River North features five float suites with three different style float tanks, a meditation space and a virtual reality studio. We opened the doors in February of 2016 and run 35 Float Sessions daily with the first float at 8am and the last at 8pm. We offer our complimentary signature hot tea service after each float session. 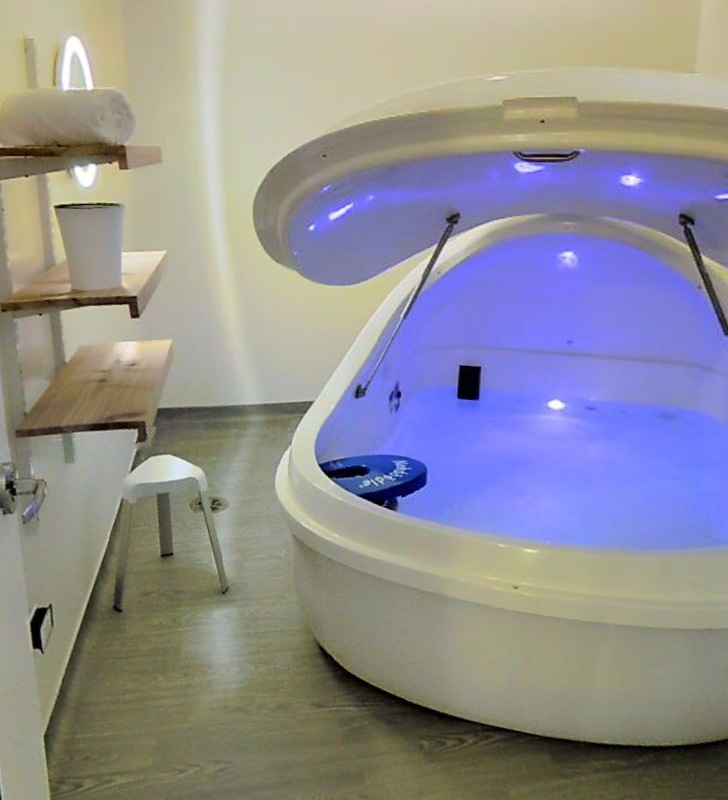 Suites 1, 2 and 3 at Float Sixty River North are not "tanks" but more like a personal pool. The unique wave design of the interior offers wide open space at the head level - almost six feet tall from floor to ceiling. Lights are optional. Similar to Suite 1, this room is spacious and a great environment for relaxation. The glass door steps directly into our open shower suite. Lights are optional. Suite 3 is the largest float space we have in River North, often desired by our professional athletes and those concerned about small spaces. This is a wide and comfortable space large enough for most to fully turn in the cabin. Lights are optional. Samadhi Tanks have been designed for the optimal sensory reduced environment with as few distractions as possible. Truly a space of empty nothingness in which the floater is supported in entering the space of silence. Our Super Float Pod creates an environment that is quite unique. Spacious and airy inside, the control for lights or no lights, sound or no sound is at your fingertips. We recommend shutting it all off and just experiencing the float experience with no stimulus. After your float session, plan to relax in our meditation or calm room and enjoy our signature tea with our signature Floating Man tea infuser.